She’s bubbly and an instant ray of sunshine. Young, stylish, and definitely on the rise, this Manilena has caught our hearts as the Ate Manila in our Macho Manila launch last December. A Digital Marketing Specialist, commercial model, host, and lifestyle blogger (whew! ), you’ve probably seen her in TeamManila’s lookbook or in several TV and print ads. She’s pretty visible in the worldwide web too so this lady is definitely hard to miss. It’s Bea Benedicto in this version of TeamManila Top 10 and she’s here to give us a peek of her Top 10 Everyday Essentials. 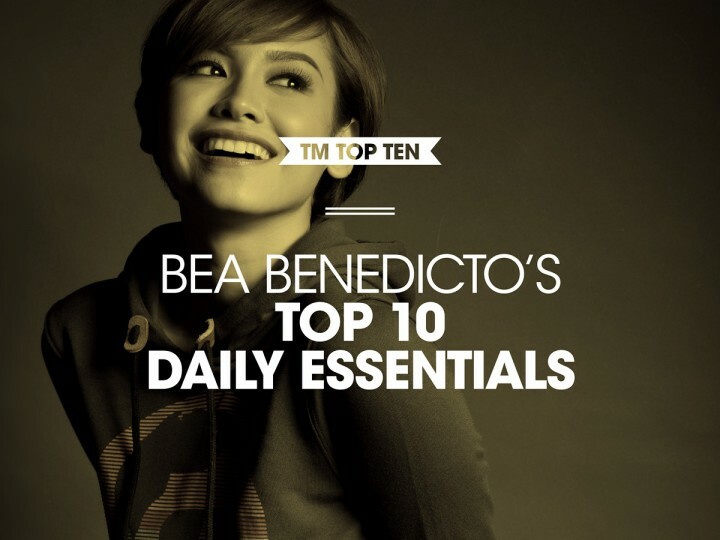 Get a glimpse of Bea’s dailies plus a short interview below! Hi, Bea! Can you please tell us something about yourself? What are your likes and your interests? Hi! I’m Bea, I’m 25 years old and everyday I go to work as a Digital Marketing Specialist. Some days though, I get to be a TV host or a commercial model! I like meeting [people] and trying out new things. My favourites are wakeboarding and surfing. I love water sports and beach living though so I’m sort of biased! Other than that, I do like to blog/vlog during my free time; topics of which range from nonsensical matters to my daily outfits. How’s a normal day for you? I don’t really have normal days or routines. I usually get surprised that I have a fitting or a shoot or even a new client or sudden presentations. I like to think my life is pretty exciting that way. What’s one activity you have to do every day? My day isn’t complete if I don’t post anything on Instagram. I’m serious. It’s kinda sad. 1. Petroleum Jelly – I have extremely dry lips and I need to be kissable 24/7 … Nat! 2. Toothbrush and toothpaste – I have this thing about having to brush my teeth after meals. ABSOLUTELY MUSTTTT. 3. Cologne – I firmly believe that you get at least 10% prettier when you smell good … So yes. 4. Wallet – I know my wallet looks like it’s been through World War III but I swear I will use it until it breaks. 5. Phone charger – But I will pretend I don’t have one when someone asks because I don’t like sharing it. HAHA! 6. TeamManila Macho Manila Tote Bag – Not only does it carry my laptop, it also keeps the Abangers away. 7. Planner – Because how does one live without one? 8. Scarf – Because one must always be prepared for Antartic malls and such. 9. 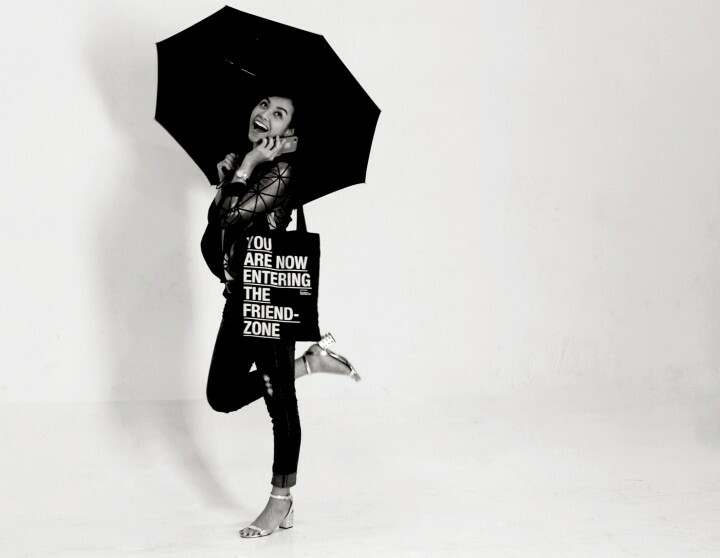 Umbrella – Call me Miss Poppins but I do like to be prepared with everything inside my bag! 10. MY PHONE – It is my life and I will not even try to deny it. For more of Bea, don’t forget to follow her on Instagram, Twitter, Tumblr and Facebook.